Made for outdoor lovers, Onak is the new foldable canoe you can now find on Kickstarter. 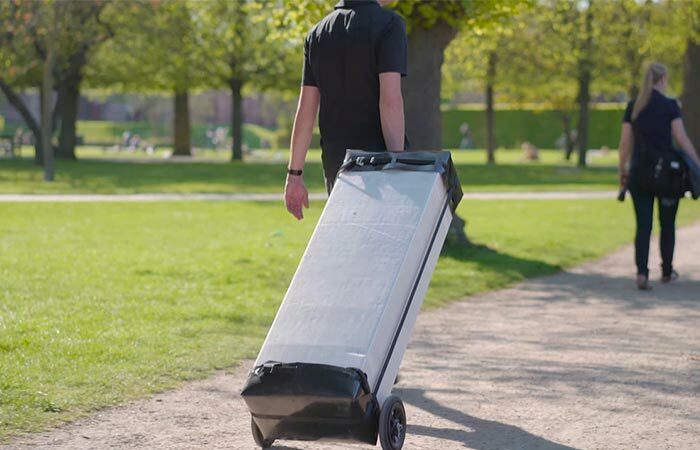 With its smart and compact design, it can be unfolded and set up in around 10 minutes. Onak allows you to easily store it in your home, put in the trunk of your car or simply carry it around. The fact it’s foldable is its best feature because the size is exactly what makes the decision to get a canoe quite hard to make. 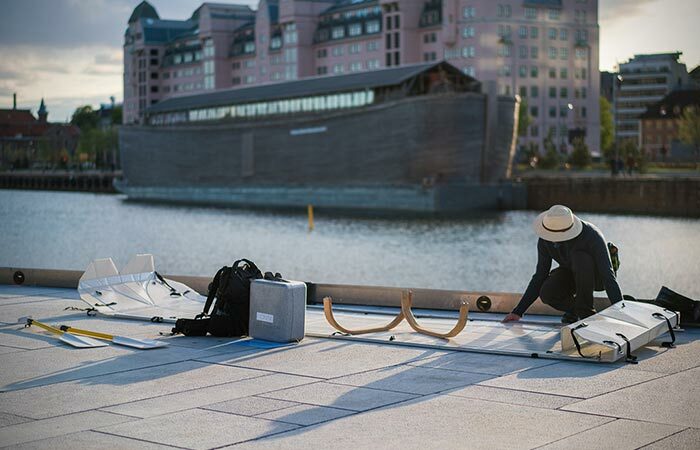 Onak is a foldable canoe you now check out on Kickstarter. Onak is made using new honeycomb – curv polypropylene material that is very tough and durable but also completely recyclable. The material contributes to the canoe being very stable on the water but also for it to be practically unsinkable. This is achieved thanks to the air cells that provide Onak with extra buoyancy. Onak is made from honeycomb – curv polypropylene material. It’s very durable, unsinkable and you can fold and unfold it in around 10 minutes. This foldable canoe was tested in all weather conditions. The results showed it can resist strong winds and waves. You can use it on open waters just make sure to pay good attention to the weather. The capacity of this canoe is 440 lb. Check out the video below. 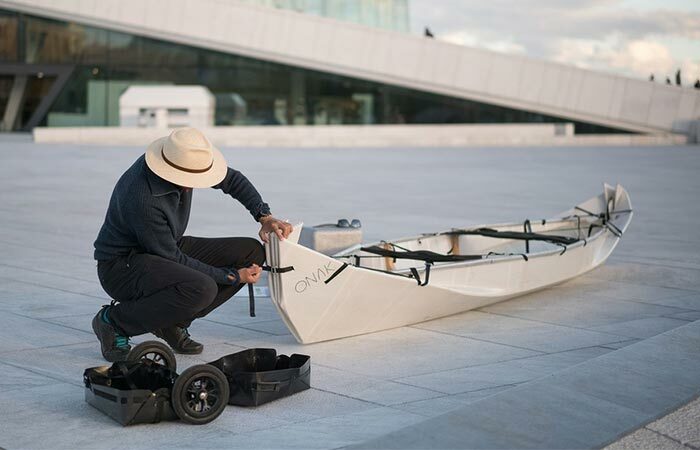 Onak paddles and canoe can fit in a practical suitcase with wheels, for easy transportation. The paddles don’t come along with the canoe since you can use any paddle you have, but you can get the Onak ones additionally. If you choose to get them, together with Onak they can fit in a practical suitcase. When unfolded the length of the canoe is 183 inches and it weighs 37 lb. The dimensions of the suitcase are 47 x 15.7 x 10 inches, perfectly fine to be used as a check-in luggage. Make sure to check out this video and learn more about this awesome new foldable canoe.